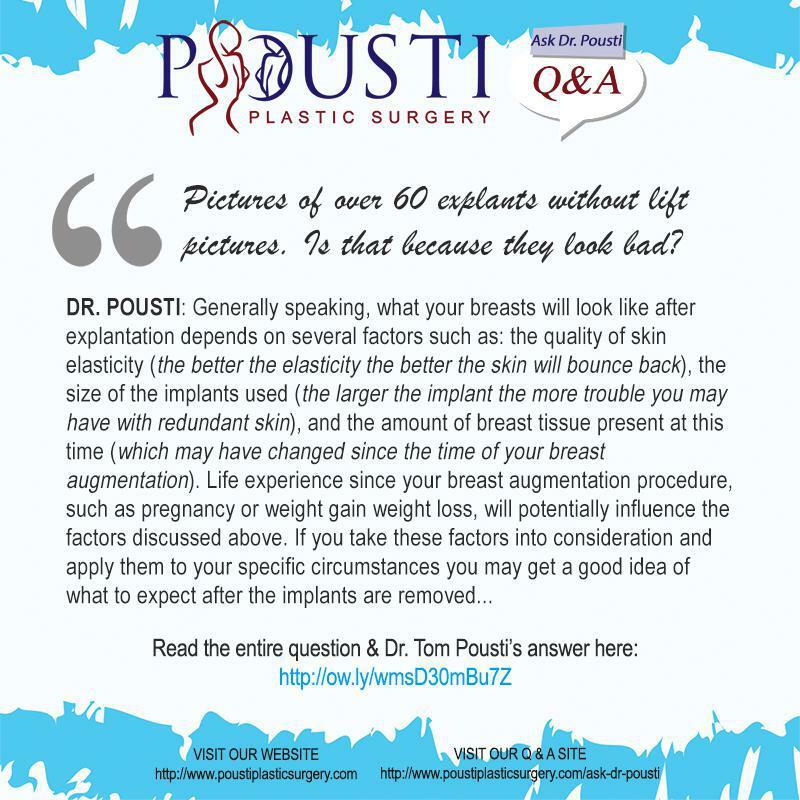 Pousti Plastic Surgery Blog Q&A: I HAVE SEEN ONLY ONE OVER 60 EXPLANTS WITHOUT LIFT PICTURES. IS THAT BECAUSE THEY LOOK BAD? "I have seen only one over 60 explants without lift pictures. Is that because they look bad. Seems no one older post pictures. I am 64 and want to explant." DR. POUSTI: Pictures of over 60 explants without lift pictures. Is that because they look bad? Thank you for the question. Generally speaking, what your breasts will look like after explantation depends on several factors such as: the quality of skin elasticity (the better the elasticity the better the skin will bounce back), the size of the implants used (the larger the implant the more trouble you may have with redundant skin), and the amount of breast tissue present at this time (which may have changed since the time of your breast augmentation). Life experience since your breast augmentation procedure, such as pregnancy or weight gain weight loss, will potentially influence the factors discussed above. If you take these factors into consideration and apply them to your specific circumstances you may get a good idea of what to expect after the implants are removed. 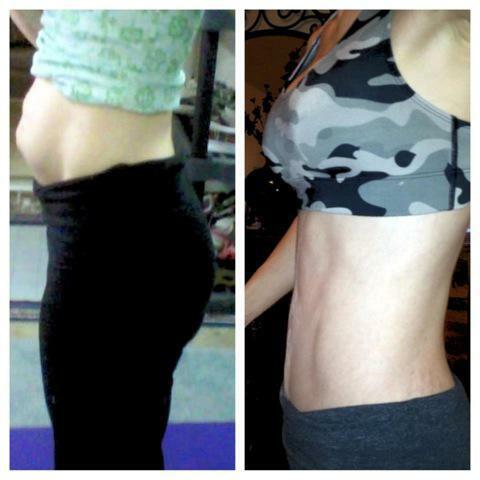 Patience is definitely indicated after removal of breast implants; it will take many months for the skin to “bounce back” and for you to see the final appearance of the breasts.You may find the attached link, demonstrating lots of examples of breast implant removal surgery outcomes helpful to you as you learn more. 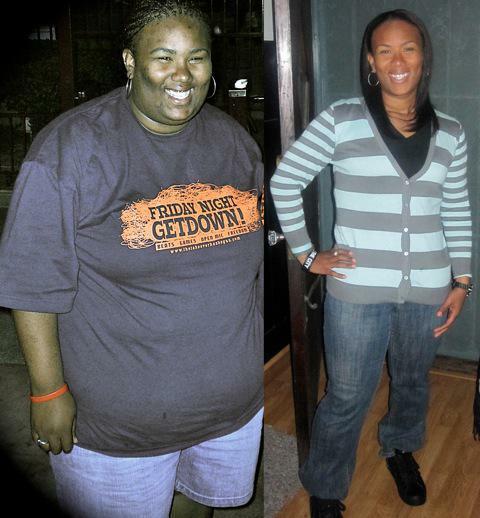 You will find a separate page, on the same website, dedicated to breast implant removal surgery.